With a small kitchen, counter space is as a premium. 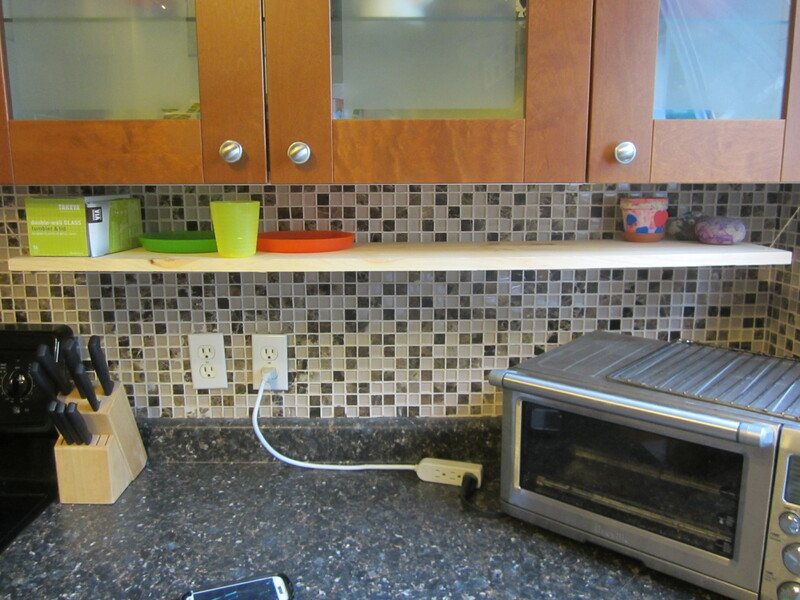 I’ve been wanting to add a shelf below the cabinets to add some extra space but screwing anything into the wall was a no-go with our tiled backsplash. I decided to rig something up with wood, twine and 3M Command Hooks which is working out perfectly! 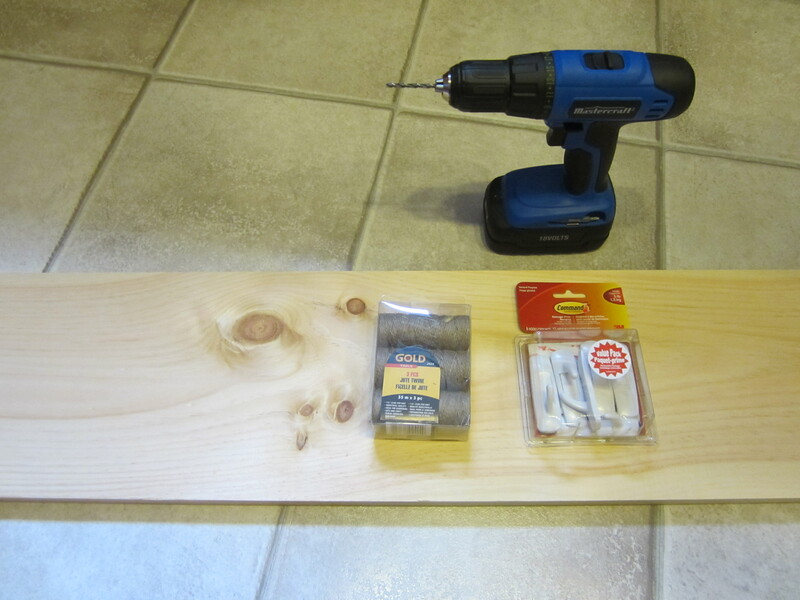 I used a piece of wood, twine from the dollar store, 3M Command Hooks and a power drill. 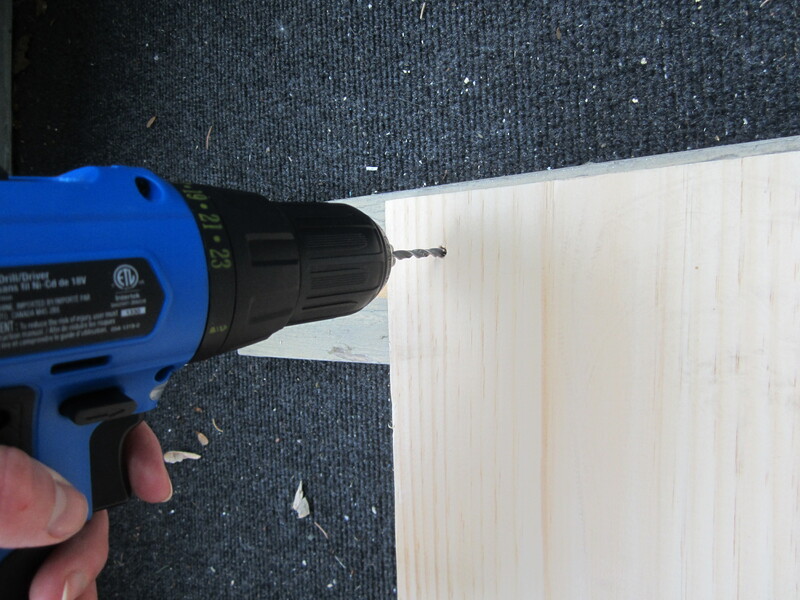 I measured first and marked these out with marker before drilling. I missed taking a picture of this step but I used 3 hooks for each side. Each hook was good for 2 lbs so I wasn’t concerned about the weight of the shelf. Another pic I missed but this was probably the step which took the longest. I had some issues trying to get the twine even on both sides but I eventually worked it out! This project cost about $15 and surprisingly, only took about 20 minutes to make. 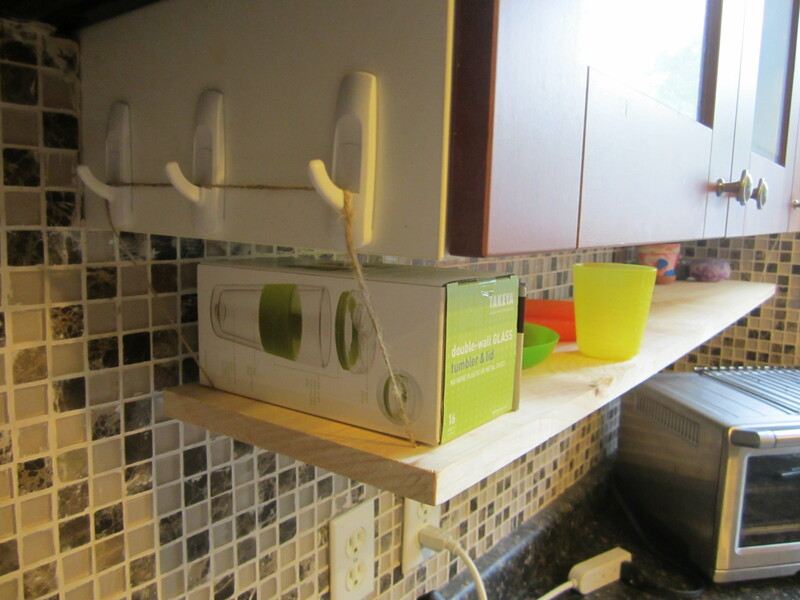 A great quick and easy, budget-friendly project to help de-clutter the kitchen. Am I the only one who seems to have way too many random items accumulating on my kitchen counter? Thanks! It’s working out really well!